Self Leadership: What’s That All About? …when we have said one too many “Yes, I will” when we should have said “No, I won’t”…when we feel like we are losing our footing. …when we begin to drop balls, it’s a good indicator that we have too many of them in the air and we are failing at self leadership. I believe that a large part of self leadership is knowing yourself intimately. What are your strengths and weaknesses? What are your spiritual gifts? What areas are you tempted to sin? What are your good habits or habits that need avoiding? What are your current responsibilities and how are you prioritizing them? After all, some things are quite good to do, just not right now. Another part of self leadership is understanding your responsibilities and what only you have control over. There is no use wasting time and energy worrying about what your supervisor, the company CEO, your husband, the girl in the next cubicle, or your pastor should be doing. Likewise, there are times when we need to be patient and allow God to reveal his will in the current situation. He is the one in control after all. I believe that the Apostle Paul was good about self leadership. Obviously gifted of the Lord, he did not think too highly of himself. He referred to himself as the chief of sinners (1 Timothy 1:16 NIV). Paul knew that he could only boast in the Lord, not his own lineage, upbringing, education, title, or status (1 Corinthians 1:26-31, 2 Corinthians 11:16-12:10). I don’t believe that self leadership has so much to do with balance as some would proclaim, rather it has to do with perspective. The heart of self leadership is understanding that God is in control, and he is pleased to use us to accomplish his good work on earth. Once he calls us and gives us assignments, we need to be faithful in completing the assigned work. We are responsible to tend to our own work without distraction, and with the understanding that knowing and being with him is our first priority. He is the only one who provides clear guidance to help us lead others effectively, and we must first be led by him. 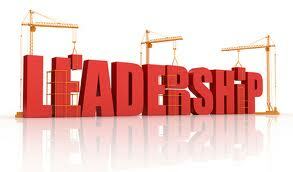 How is your self leadership?